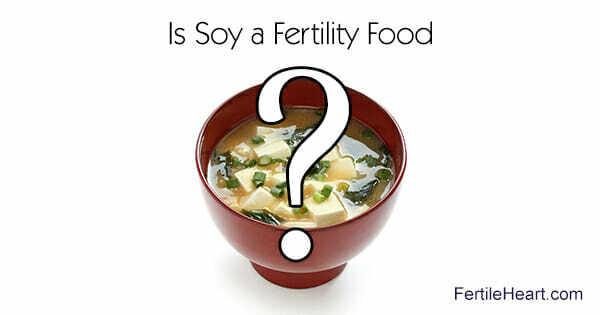 Does soy increase fertility or deplete your baby making potential? Soy continues to be a subject in the mommy making world that makes our heads spin. So here’s a quick n’ clean lowdown on what I got after years of research and even more importantly working with thousands of mamas who gave birth to robust babies and yes! they actually ate soy. Over eighty percent of the women I’ve worked with in my workshops and private consults have suffered with various levels of digestive difficulties. The protease inhibitors in unfermented soy foods, such as soy milk, tofu, processed soy cheeses, inhibit the key enzymes that help us digest protein and can cause bloating, intestinal disorders and impaired pancreatic function. So unfermented soy foods can not only impair fertility, they can interfere with absorption of nutrients and impair our overall level of energy and health. A statistically significant number of women with fertility challenges wrestle with impaired thyroid function. Since the consumption of certain soy products is linked with impaired thyroid function, clearing up the fertility and soy confusion is a priority especially for the population of women who suspect a thyroid issues. Soy products can interfere with the absorption of iodine. Iodine deficiency leads to slowed metabolism, weight gain, fatigue, intolerance of cold and other symptoms of an underactive thyroid. Women with thyroid related issues have done well with a moderate amount of fermented soy foods, such as tempeh, tamari, miso and nato. but only when combined with iodine rich foods such as seaweed. Fermentation adds beneficial microorganisms that help break down complex proteins into highly digestible amino acids and fatty acids. The phytoestrogens in soy products can help raise estrogen levels in women who, like myself, have been diagnosed “irreversibly infertile” due to high FSH and low estrogen levels. Although the debate over the pros and cons of even fermented soy foods continues, most clinicians agree that women over 35 can benefit from incorporating fermented soy combined with iodine rich foods, in their food plan. Fermentation also deactivates the soy’s mineral depleting phytates and other anti-nutrients. Otherwise the impaired mineral absorption—of calcium for example—especially for women with fertility challenges such as depleted ovarian reserve, can be a serious concern. Who is in charge of the menu? If you start panicking, beating yourself up about what you put in your mouth, start driving yourself crrrazy about the whole Fertility Diet thing, it becomes self-defeating. So check out my Ultimate Fertility Diet Video, I made it so we can all chill a little about food. Better yet, that video will also give you an idea of the delicious way we work with food in the Fertile Heart OVUM practice. Copyright © Fertile Heart 2018; No part of this document may be reproduced without the permission in writing of FertileHeart.com and Julia Indichova.